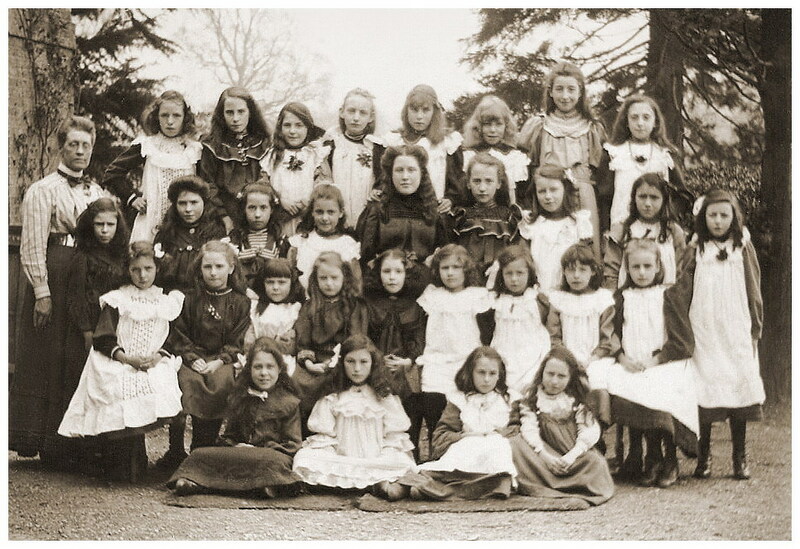 The older girls, of seven years and above, continued to be taught in the larger separate classrooms of the original school when the older boys moved to their own school in the Watford Road in 1894. Miss Aricie Clarke was now appointed as the girls’ Headmistress and continued to live in the schoolhouse, sharing the accommodation with her mother and an assistant teacher. 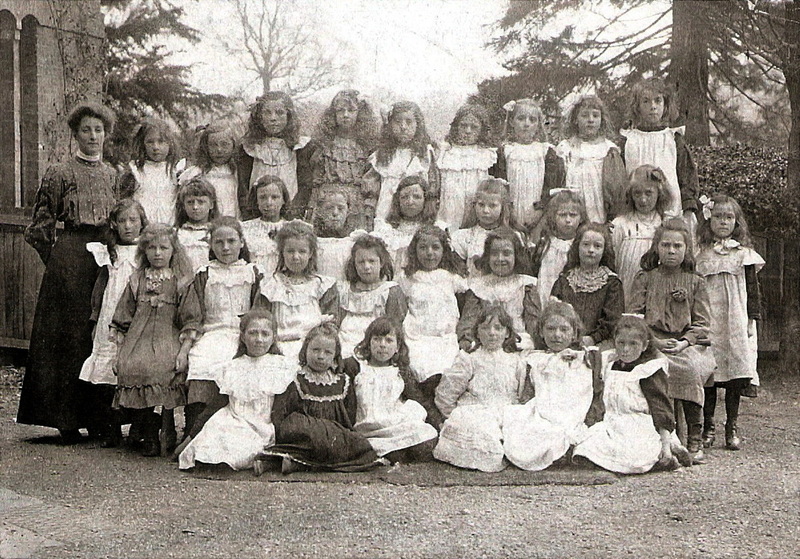 Following the building of the Dickinson Institute in New Road it is recorded that 38 girls attended cookery classes in April 1907 and this met with much approval by the girls and their parents. 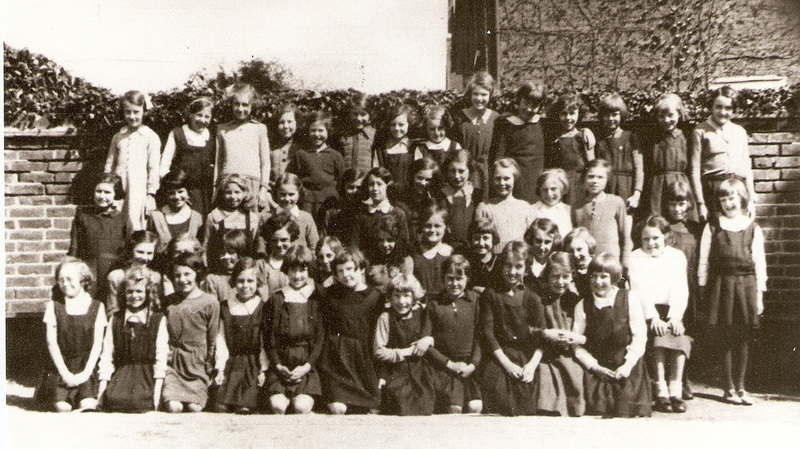 Eventually the older girls would go by bus to Rickmansworth to a purpose-built building near Basing House in the High Street. 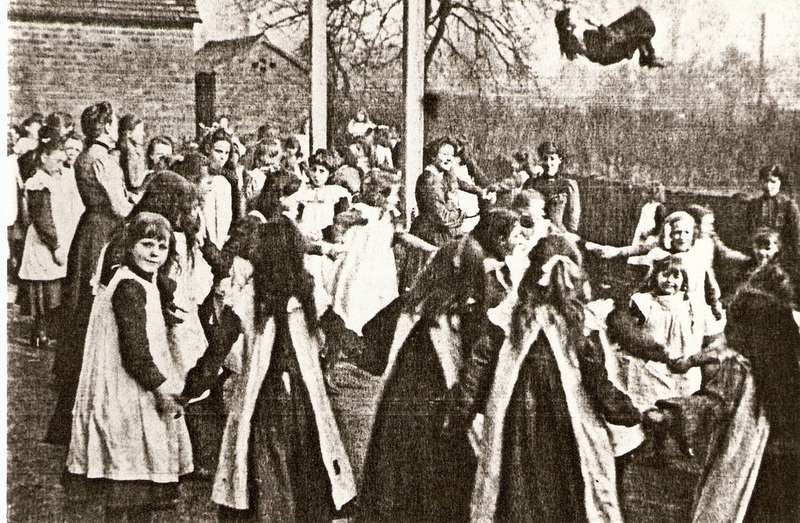 Prize giving days were held at the Institute when the vicar and managers as well as parents were cordially invited. The children receiving prizes were presented with books, and medals were given for full attendance. Two girls were to receive watches for five years’ full attendance at school. 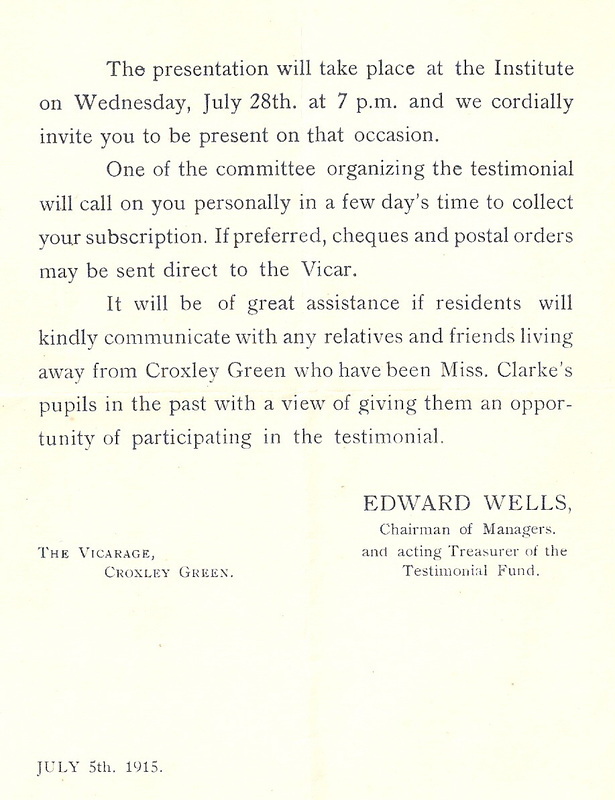 In 1909, pupils from Croxley Green competed in the Herts and Middlesex Music Festival at Alexandra Palace, where they gained second place. They received a certificate and a silver-mounted baton presented by Princess Henry of Battenburg. The girls who entered this event the following year once again gained second place. On 13th May 1912 they won a Broadwood piano which was much coveted. The girls now spent the whole of their school life in the original (but now much extended) school. 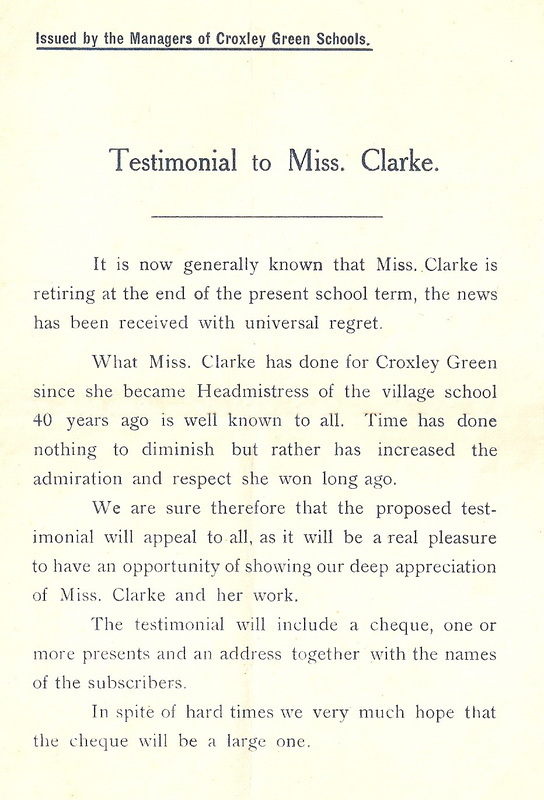 After almost 40 years of teaching at the school, Miss Aricie Clarke retired as Headmistress at the end of term in July 1915. Miss Mildred May Stanford became the new Headmistress in September transferring from the Old Boys School. She began as an assistant teacher at the age of twenty under H T Wilson. 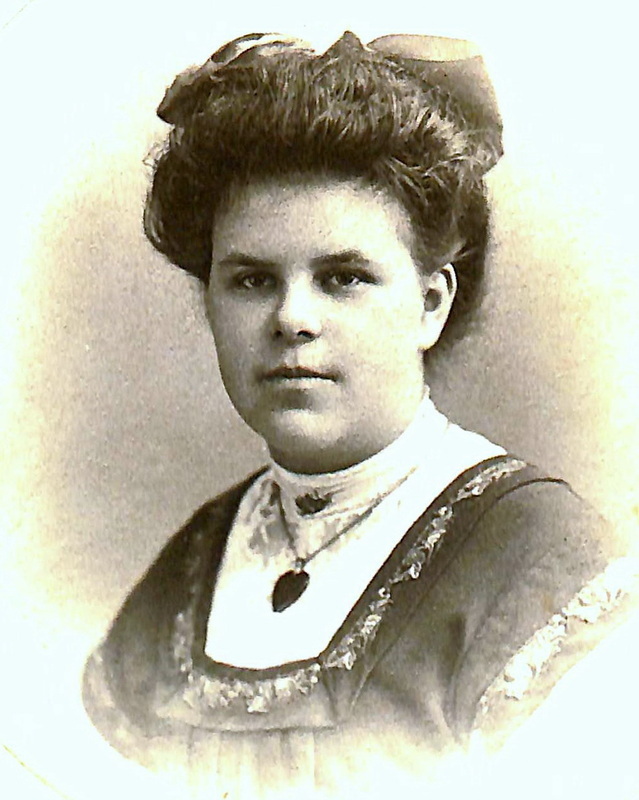 Originally from Abridge a small village in Essex and educated at Chigwell Grammar School, she dedicated her career not only to teaching her pupils academic subjects but also to encouraging social opportunities. 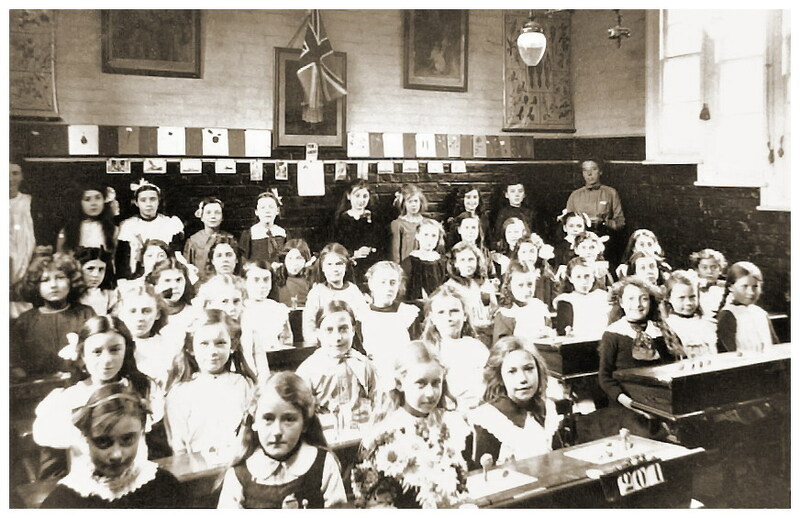 At this time there were 134 girls on the register and her colleagues were Miss Vincent, Miss Clappen and Miss Jones. Miss Stanford was very aware that Miss Clarke had left everything in excellent order. During the disturbing times of the First World War, the children became aware of the suffering that the Belgian children were experiencing. They were encouraged to help with financial aid and collections of money were sent at Christmas time. Local public transport was virtually non-existent and any ‘days out’ had to be on foot. 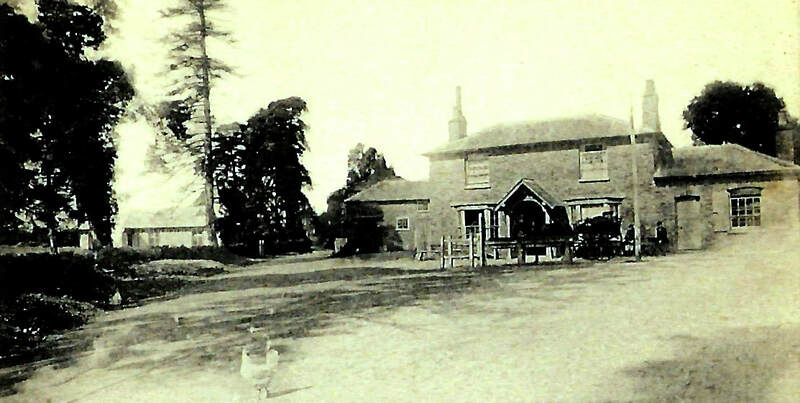 On one occasion in 1916, Miss Stanford walked to Chalfont St Giles with seventeen older girls, starting at 2pm and returning by 8pm.This would have been a distance of about ten miles but nevertheless they had an interesting and exciting time. The girls sometimes brought their tea to school and would go as a group ‘somewhere for a picnic’! 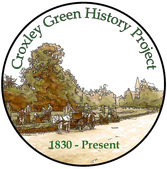 A frequent local walk from Croxley Green was to Sarratt or Chipperfield. 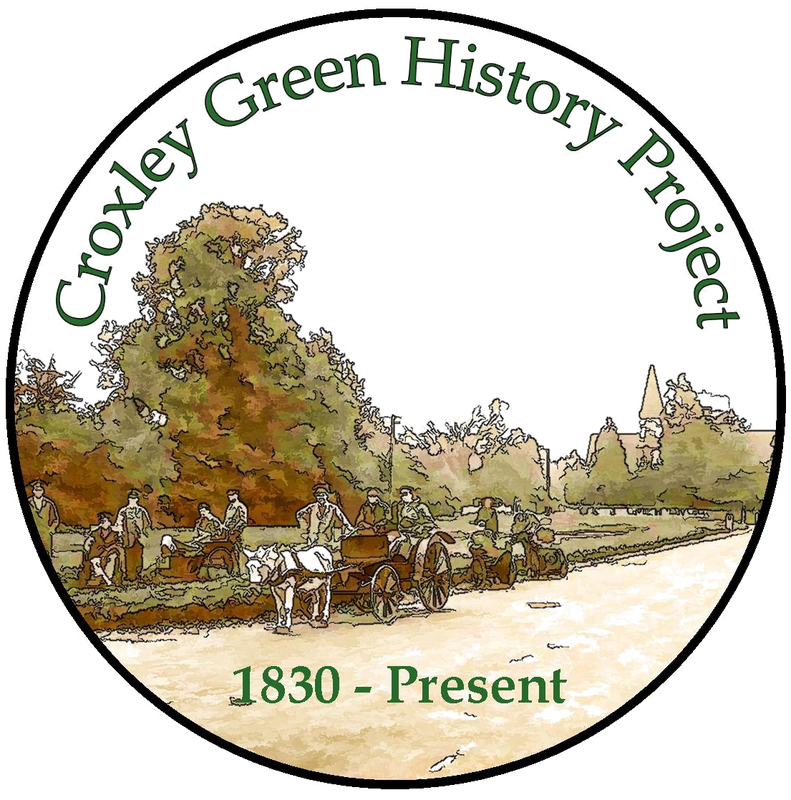 A memorable picnic occurred when, on returning to Croxley Green from a three mile walk, a heavy thunderstorm gave rise to the group sheltering in the little church at Chandlers Cross. The girls passed the time singing their favourite hymns. Miss Stanford was the superintendent of the Sunday school here and also played the harmonium at the services for this church. The John Dickinson mill manager Mr. Barton-Smith, encouraged the schools to save waste paper for ‘recycling’ at the mill. He would promote this with monetary rewards that could be used towards purchasing special books or equipment. 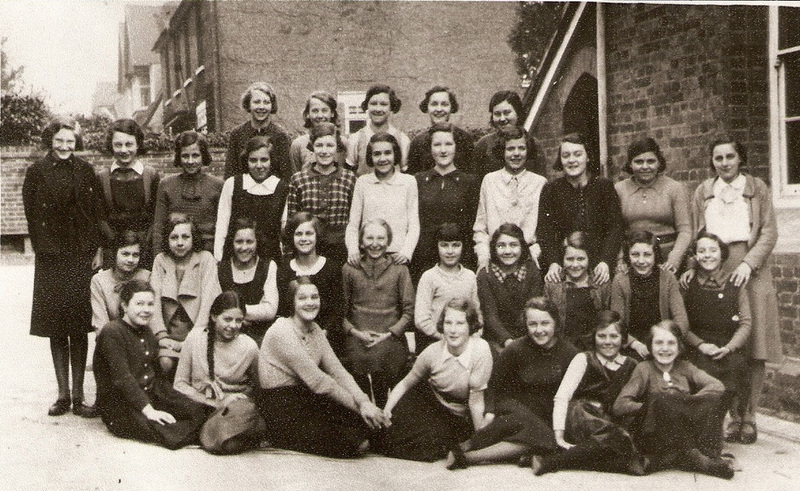 Miss Stanford continued furthering the girls’ education and in 1919 she took 17 girls to London. The party caught the 7.40am train from Watford High Street and visited Selfridges, All Saints Church in Margaret Street (off Oxford Street). They had dinner (lunch) at the National Kitchen in New Bridge Street and visited St Paul’s Cathedral in the afternoon before going to the Old Vic Theatre to see Shakespeare’s ‘As You Like It’ . The cost – theatre ticket 8d; fare 1s 1d; dinner 11d; tea 6d. Total: 3 shillings 2 pence. In today’s money this would be approximately 25p! [But, given the wages of most people in 1919, actually a very expensive trip!] Quite an outing for such a small village school!!!! 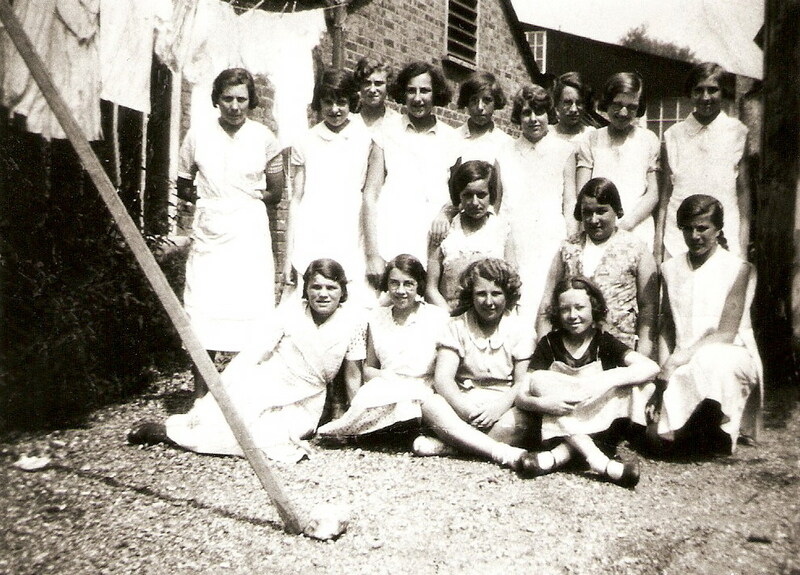 A netball set was purchased from Arnold’s of Leeds at a cost of £3.12s.2d and very soon a netball team was formed. 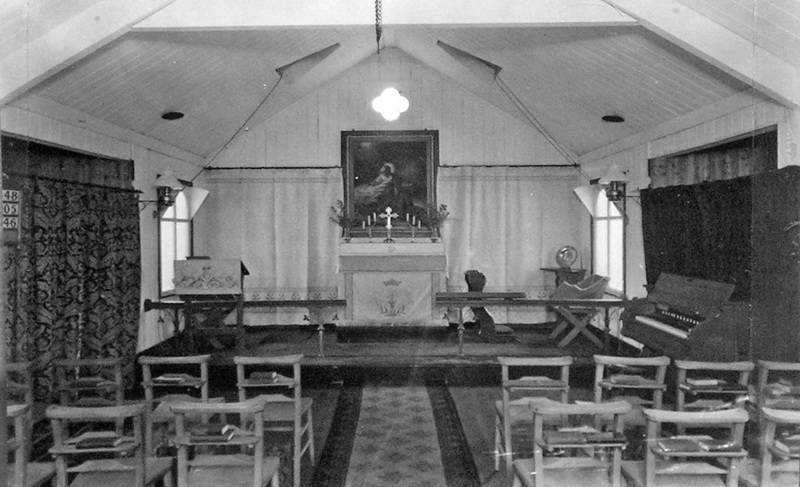 Yearly concerts took place in the Institute and the proceeds helped to fund books and prizes. The country was going through a post war decline. However, the School Inspector reported in 1923 with some approval that the Headmistress had initiated a magazine club and she had the enterprise to establish an ‘out of hours’ library. She also founded a ‘Girls Fellowship and Parents Union’. This involved linking old and new girls based on mutual helpfulness as well as encouraging closer links with the school. In 1925, Miss Stanford, with the approval of His Majesty’s Schools’ Inspector, decided to use the education guidelines of the Parents’ National Educational Union (PNEU) syllabus and methods and continued taking on board every opportunity to provide the wider choices becoming available. Music lessons such as the teaching of the violin were on offer. The Dickinson Institute, by kind permission of Charles Barton-Smith, was the venue for dancing classes as well as other popular events held by the girls. A performance of a musical play at the now renamed Guildhall was ‘Lollipop Land’, played in three acts by the Mortals and Immortals. Living in Fairview Terrace, Dickinson Avenue at this time, Miss Stanford went on a summer break in 1930 to her family home in Essex. There she became ill and passed away quite suddenly having had tonsillitis. 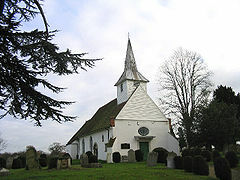 She was buried at Lambourne and a Memorial Service was held at St Mary’s and All Saints Church for a packed congregation. During half-term in November, twenty senior girls made a trip to Essex to lay flowers on Miss Stanford’s grave and afterwards her sister Mrs. Loch entertained them to tea in Abridge Parish Hall. Such was the popularity of Miss Stanford that there is an area in All Saints Church dedicated to her memory. Miss Lillian Eva Cooper, born in 1890, attended Camden High School for Girls, later renamed North London Collegiate School. 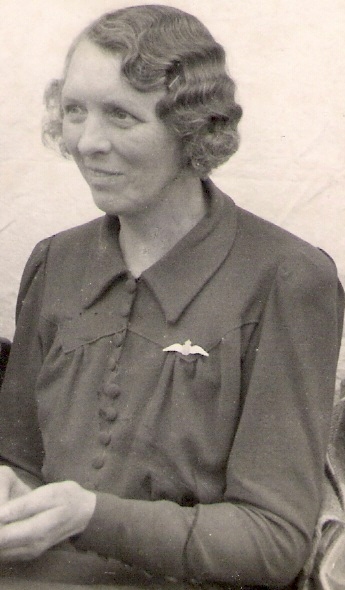 She moved with her father, John Cooper, to Watford and began teaching at the school in 1922. 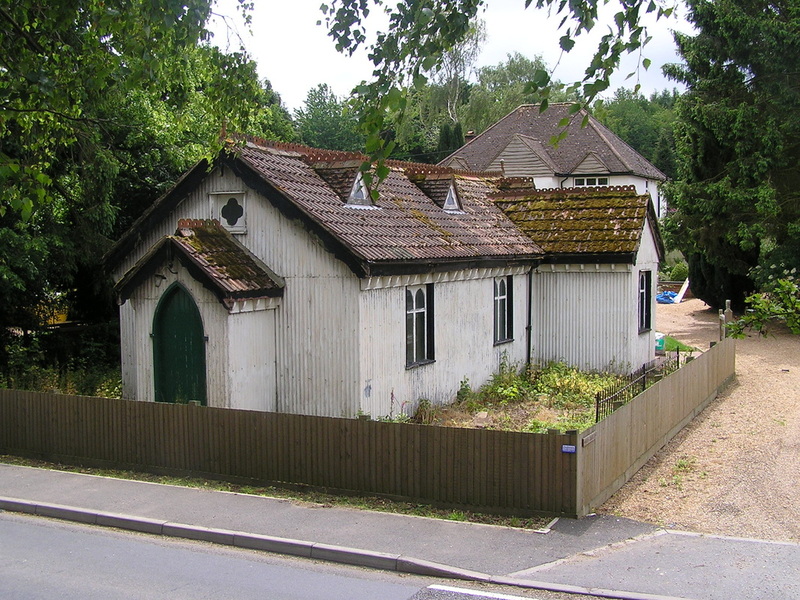 When the schoolhouse attached to the school became vacant in about 1926 they moved into it. In 1928 Miss Cooper submitted a request for repairs and redecoration of the front sitting room, the middle room as well as the scullery and lavatory and these were duly approved and completed. She took over the Headship from 25th September 1930. The number of girls at the school increased as new housing sites developed and as a result conditions became cramped. 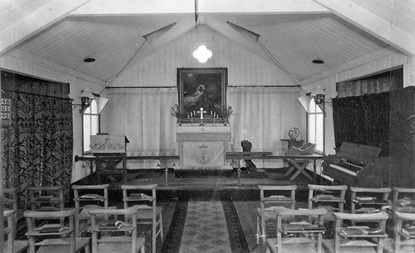 In 1935 it was decided to use the small hall at All Saints church on occasions to teach one of the younger classes of girls. Harvey Road School eventually opened as a Junior Mixed School in 1938, taking pupils from both Yorke Road and the Boys’ schools. On reaching the age of 11yrs they would eventually transfer to the planned new Durrants senior school opening in May 1939. Miss Cooper continued her Headship at the new Harvey Road School, with the juniors leaving the infants at Yorke Road. 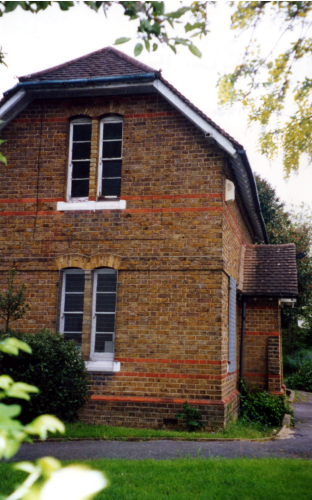 Although she taught at Harvey Road until her retirement in 1952, she continued to live at the schoolhouse until she became unwell and was admitted to Shrodells Hospital, where she died in September 1963. Yorke Road became a mixed Infant/Junior school until its closure in 1974 and Harvey Road school also eventually changed to a mixed Infant Junior school.